The marchers left Katoomba RSL Club about 7 am. 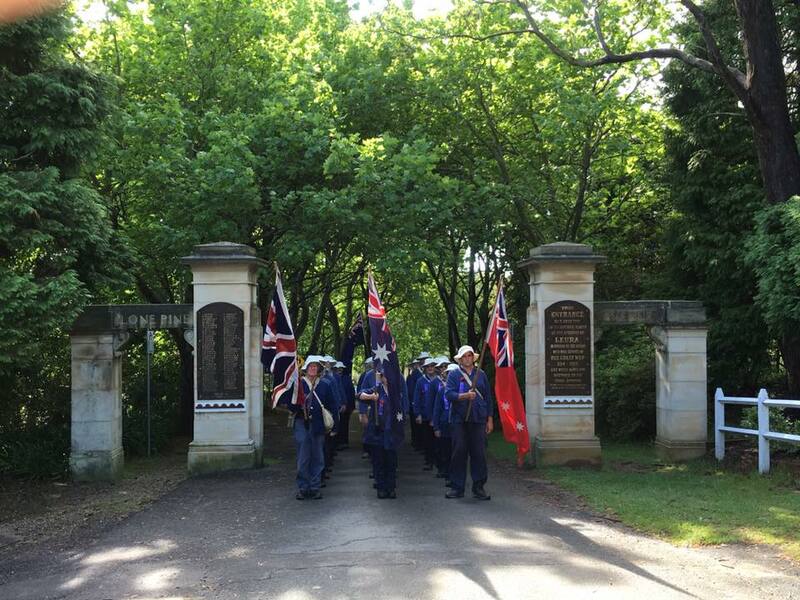 A commemorative service was held at Lone Pine Park Memorial Gates in Lone Pine Avenue at Leura at 8.30 am. Helen Thompson talked about Harold Brooks Davis, who joined the Coo-ees in the Blue Mountains, and who is remembered on this memorial, who she believes to have been the youngest of the Coo-ees to enlist, being only 16 years of age when he died in 1917. 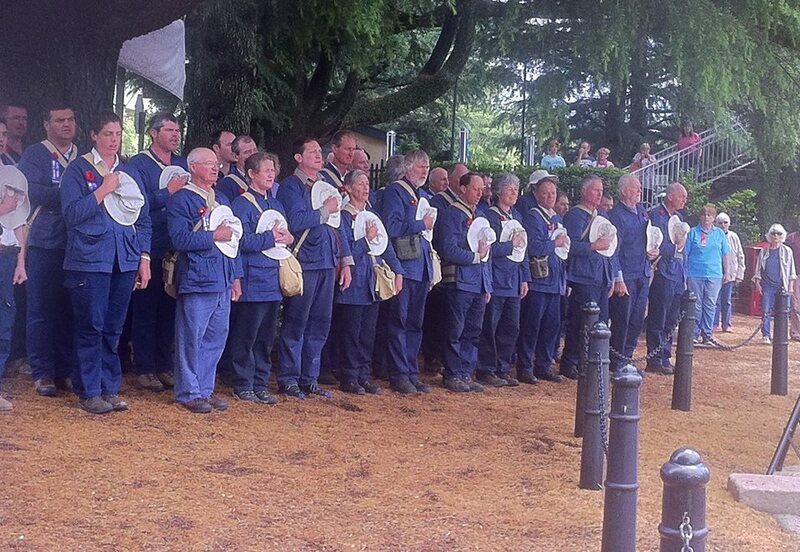 The marchers then marched to Wentworth Falls where another commemorative service was held at 11 am. 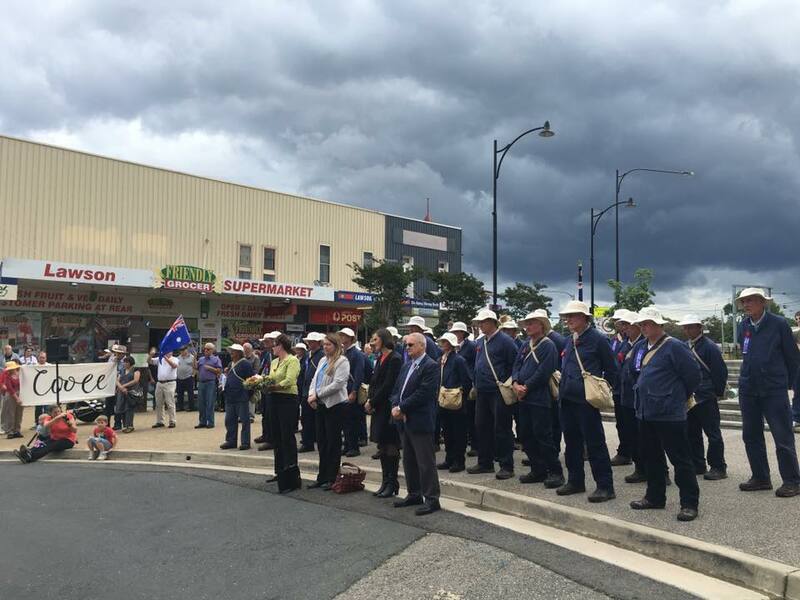 A commemorative service was held at Lawson War Memorial at 2 pm, followed by lunch at the Blue Mountains Hotel, which was provided by the Lawson Combined Services Social Club. 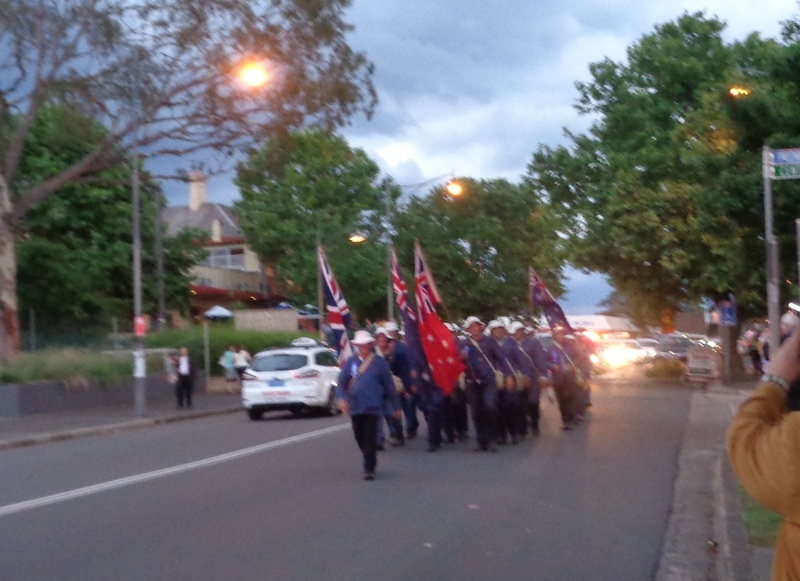 The marchers then marched to Springwood, where they arrived about 7.30 pm, just in time for another commemorative service at the Springwood War Memorial at 7.40 pm. It started raining just after the service. A BBQ dinner was provided by the Blue Mountains Vietnam Veterans & Associated Forces Inc., which was very much appreciated by the marchers. The marchers stayed overnight at the Wentworth Falls Bowling Club. This entry was posted in Memorials and tagged Lawson, Leura, Springwood, Wentworth Falls. Bookmark the permalink.